Just a quick note to let you know we are closing at 4:30pm on December 13th and all day on December 14th for our annual employee holiday party and team event. See you bright and early on Monday December 17th. Happy Holidays from our family to yours. To secure a solid foundation, focus must be rested upon long-term protection. Without this protective basis, hard work and commitment can come crashing down due to risk exposures. 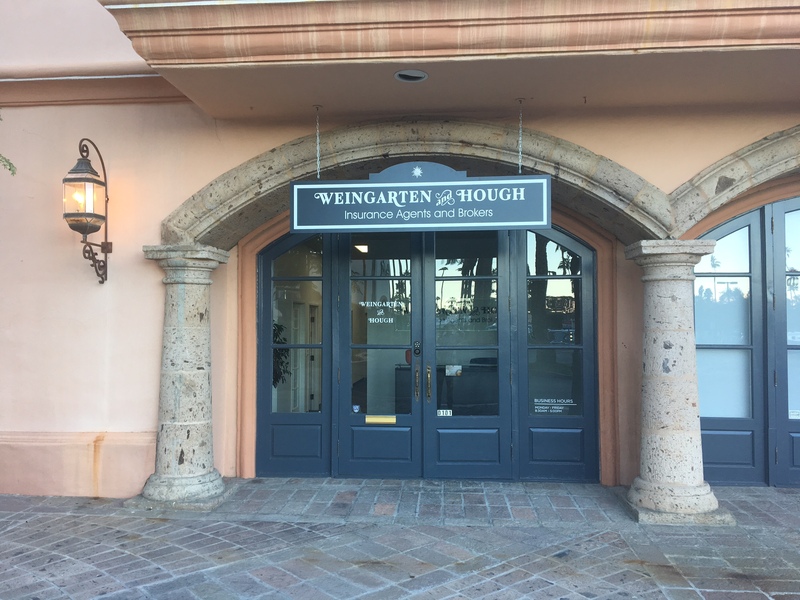 At Weingarten and Hough – Insurance Agents and Brokers, we specialize in architecting personalized protection for clients through insurance services. A locally owned and operated business, our agents partner with a collection of clients in Palm Springs and throughout Southern California. To build an appropriate blueprint to meet each client’s insurance needs, we work one-on-one with these individuals to identify risks. This is particularly important for businesses seeking accurate, cost-effective coverage. In order to properly secure a business, agents need to understand the ins and outs of its operations. Taking time to identify risks not only promotes proactive risk management practices, but also offers an opportunity for agents to design customized insurance coverage. Along with clients, we also boast a close partnership with an assembly of established carriers, including Nationwide Insurance, Liberty Mutual Insurance, Travelers Insurance Company, AmTrust, Kemper Preferred, The Hartford, and SafeCo. For our clients, this translates into a direct relationship with a local insurance agent complemented by a reliable insurance product. Our business insurance program was built for clients within a variety of specific industries - from restauranteurs to construction contractors. A business owners policy (BOP), which combines essential coverages such as commercial property insurance and general liability coverage, is often the route for small to medium-sized companies. Supplemental coverages can added to this comprehensive insurance portfolio based on need, including commercial auto insurance, crime insurance, and workers compensation coverage. We also back public and private businesses through bonds. Whether instituting commercial or contract bonds, our agents are accessible and knowledgeable to guide your business through the process. We work especially close with individuals within the construction industry, including construction project developers, general contractors, and home builders. The work doesn’t stop after the home is built. Our personal insurance program is based upon a selection of essential coverages, such as homeowners and personal auto insurance. To gain more insight into the insurance services we offer, contact our agency at your convenience. Each policy we produce is a testament of the quality client service we institute. We’ve built a service minded culture, not a sales-driven workplace. Our goal as an agency isn’t to pressure clients into coverage that doesn’t work for them. Instead, we go above and beyond to act as a trusted advisor, educating clients on the best options for their requirements. Our agents review policies in advance of each renewal date, incorporating trending claim data (recent fire, theft, or auto accident loses that have occurred recently in the surrounding Palm Springs community or similar business industries). We work on a less than 24-hour turnaround schedule and are available to answer questions during traditional business hours. If you’re ready to begin building an insurance policy with Weingarten and Hough – Insurance Agents and Brokers, feel free to request a quote. They were able to review my house insurance and car insurance and end up saving me hundreds of dollars. I know it sounds like a commercial on TV but in this case it was true! Our realtor recommended Weingarten & Hough; they are a local business providing wonderful service.They guided me through the Medicare maze to the best insurance for my needs. We love visiting and speaking with the agents as well as their personalized service! Proudly serving Palm Springs, CA, Palm Desert, CA, Cathedral City, CA, Rancho Mirage, CA, Indio, CA, La Quinta, CA, and surrounding areas.